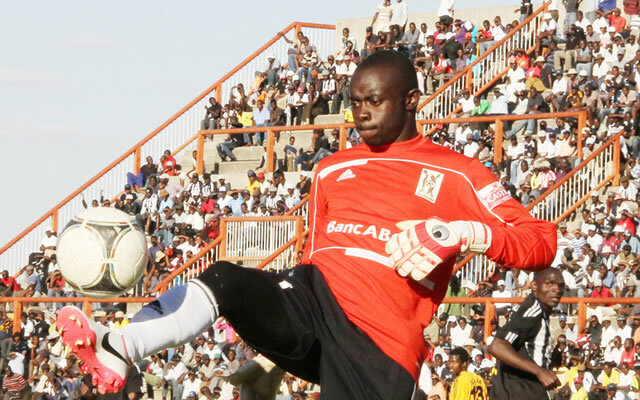 HIGHLANDERS' coach Madinda Ndlovu has come to the defence of his goalkeeper Ariel Sibanda over his gaffe that gifted ZPC Kariba their first league match win in the 2018 season, saying it would be unfair to crucify one player for the loss. The Bulawayo giants were shocked by bottom of the table electricity men, who came from behind to win the weekend encounter 1-2 at Barbourfields Stadium. "We lost that game as a team; the blame for the defeat should not go to Ariel alone because everyone from the fans to us (technical bench) actually wanted a win. Despite the fact that we always tell the boys that we are not really in this phase for the championship, the boys have put themselves in a situation where they are hungry for success. So when the game was 1-1, they wanted the winning goal as much as possible and as a result they made a very costly mistake which then made us lose three points," said Ndlovu at the club's weekly media conference yesterday. "When you are a coach and you find yourself in such a situation, you can't then crucify your players because you have actually put everything upfront and we were hit by that bitter goal." The legendary former Warriors' winger also gave an overview of the team's last five games and said their performance was below par, as they failed to reach targets they set for themselves. They had set a target of collecting a minimum of nine points and maximum of 11 points for their last five matches, but could only manage seven. The Highlanders' youngsters drew 2-2 with Chicken Inn, hammered Shabanie Mine 3-1, lost to Ngezi Platinum by one goal to nil and beat Mutare City 1-0 at home before last weekend's calamitous 1-2 loss to ZPC Kariba. "Yes, the boys have done fairly well because they are in position three on the table, but based on our set target in the five games, I can say we have failed because we managed to get seven points when our minimum was nine. We now have to do better in our next games to compensate for the points we dropped in our last five games," said Ndlovu. That journey begins with an away trip to Yadah at the National Sports Stadium in Harare tomorrow and the Highlanders gaffer said it would be a different ball game altogether. "Its game on against Yadah; we will do everything humanly possible to collect maximum points and by the way, we are not underrating them at all because they earned the right to be in the Premier Soccer League," he said.